Social Finance plays a key ongoing role in project oversight, reporting, and performance management once Pay for Success projects have launched. 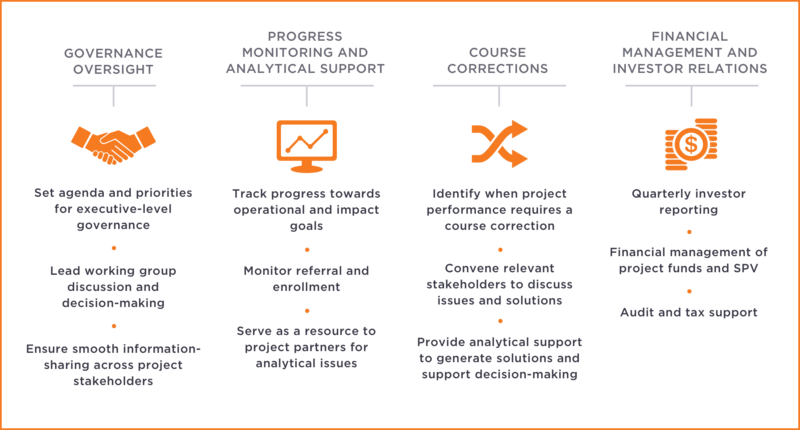 Ongoing course corrections, guided by data and engaged partnership with all parties, is a critical component of strong Pay for Success projects. Our performance management services include governance oversight, progress monitoring and analytical support, course corrections, and financial management and investor relations. Social Finance is assessing Goodwill’s implementation of Nurse-Family Partnership in Indiana and monitoring its expansion to support effective programming. Social Finance is supporting Marion County, OR to reduce out-of-home placement for at-risk youth through an evidence-based family support program, using a two-phased approach to define program success and use real-time program data to manage toward those results. The Connecticut Family Stability Project, launched in October 2016, expands an intensive, in-home substance use and attachment therapy program (Family-Based Recovery) to ~500 families involved with the Connecticut Department of Children and Families (DCF). The project seeks to promote parental abstinence and improve outcomes for families. Our Active Performance Management team will guide the project through four years of service delivery, and six years of evaluation, by providing project management assistance, monitoring and analyzing data, and ensuring project partners are collaborating to effectively to reach target outcomes. As of October 2017, six new project-funded Family-Based Recovery clinician teams have been hired and trained, and are delivering services to families throughout the state. 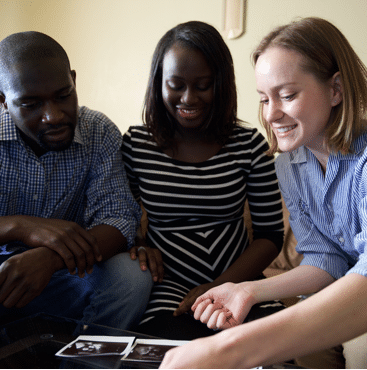 Social Finance is partnering with Nurse-Family Partnership (NFP) in South Carolina on a Pay for Success project to expand their nurse home-visiting program and improve birth outcomes for 3,200 low-income women and their babies. Over the six-year project, Social Finance is working with NFP on active performance management, analyzing operational data to ensure that enrollment targets are met and that the hardest-to-serve mothers receive services. Social Finance works with NFP to make course-corrections, which have resulted in over 760 mothers receiving services in Year 1 of the project. Social Finance also works with the Department of Health and Human Services to monitor the volume of Medicaid dollars that are being used to fund the home-visiting program, ensuring that each Implementing Agency has the resources to adequately serve families in need. 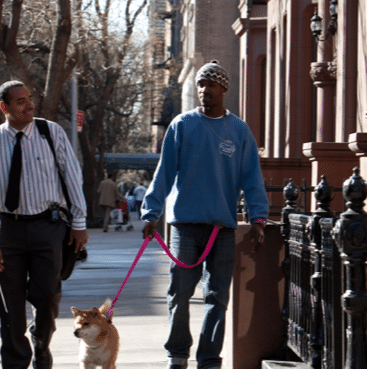 Social Finance is partnering with the Center for Employment Opportunities in New York State on a Pay for Success project to increase employment and improve public safety by expanding access to comprehensive employment services for formerly-incarcerated individuals. The partnership between the New York State Department of Corrections and Community Supervision, the Center for Employment Opportunities and Social Finance has led to strong operational performance and a new level of collaboration. Since the project launched in December 2013, our active performance management team has helped ensure the project stays on track.